MCF Institutional provides a meaningful analysis of your portfolio that measures risk and highlights correlations over a selected historical time period. We offer detailed charts and graphs that examine the risk of strategic asset allocation, the contribution to risk by asset class and the actual observed risk due to each asset class. 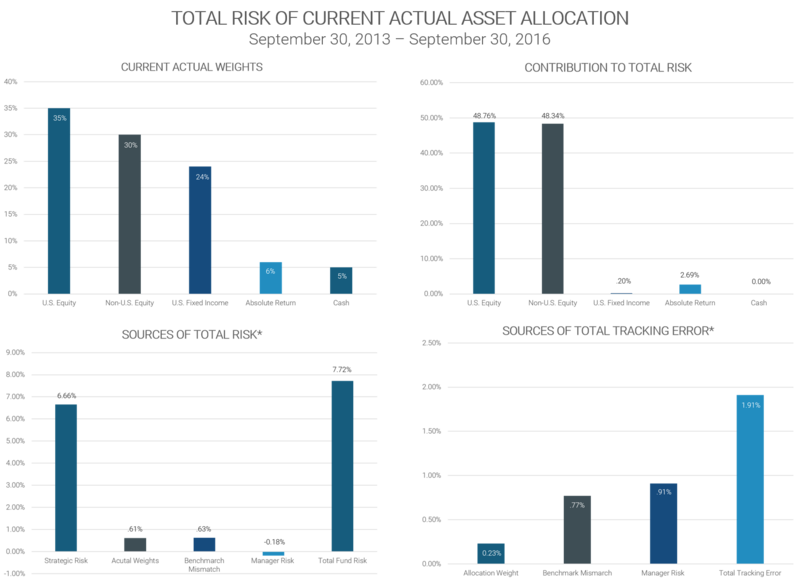 For further granularity, we provide additional detail on the actual or current asset allocation and the percent contribution to total risk from that actual asset allocation. Strategic Risk: The risk due to the strategic asset allocation. This is the risk inherent in the Plan’s policy and therefore could also be thought of as policy risk. 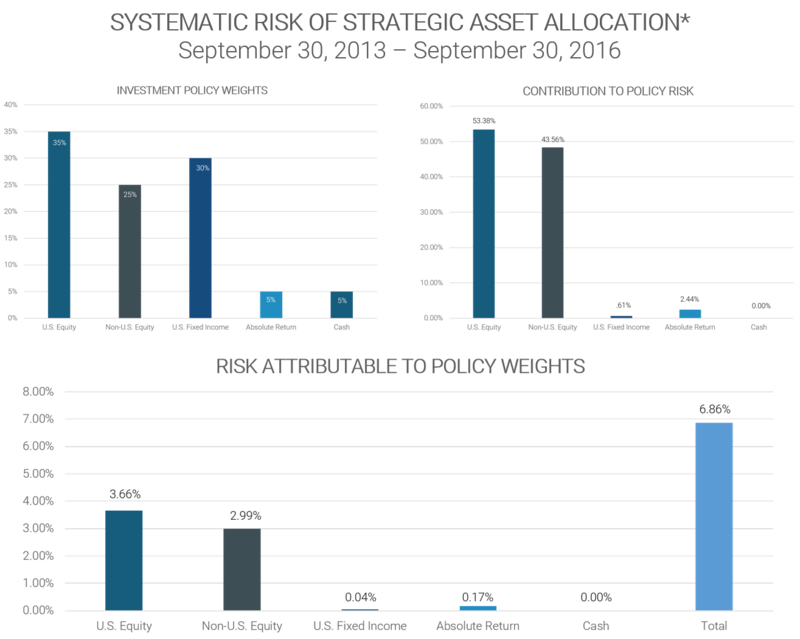 Allocation Weight: The risk that results from the difference between the actual asset class weights and the strategic policy weights. Benchmark Mismatch: The amount of risk coming from a manager (or collection of managers) that tracks a different benchmark(s) than that which is used to measure the asset class as a whole. MCF Institutional is not afflicted with Wilshire CompassTM. Wilshire Compass is a trademark of Wilshire Associates.